Preacher: Jonny Grant (27), Michael Grant (2), Ralph Depping (2), Justin Goletti (1), Johnathan Berry (1), Ryan Schertzer (1). Book: Exodus (1), 1 Corinthians (34), 2 Corinthians (1), 1 Thessalonians (1). Series: Carrigaline Baptist Church (4), Guest Speaker (2), The Gathering (7), Messy Church, Holy Church - 1 Cor (14), Special Topic (1), Exposition of 1 Thessalonians (1), Living Church (1), Pure (4). 1 Corinthians 1:18-2:5 (Part of the Guest Speaker series). Preached by Michael Grant on December 31, 2017 (Sunday Morning). 1 Corinthians 15:50-58 (Part of the Carrigaline Baptist Church series). Preached by Jonny Grant on April 30, 2017 (Sunday Morning). 1 Corinthians 15:35-49 (Part of the Carrigaline Baptist Church series). Preached by Jonny Grant on April 23, 2017 (Sunday Morning). 1 Corinthians 15:12-23 (Part of the Carrigaline Baptist Church series). Preached by Michael Grant on April 16, 2017 (Sunday Morning). 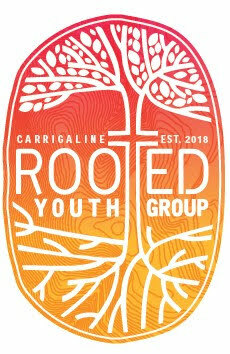 1 Corinthians 15:1-11 (Part of the Carrigaline Baptist Church series). Preached by Jonny Grant on April 9, 2017 (Sunday Morning).